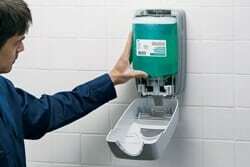 Skitterblink is a hygiene service provider that provides dispensers (buy or rent), consumables (soap, toilet paper etc. ), deep cleaning and removal of bio hazardous waste. By buying your dispensers, instead of renting, you can lower your company overheads significantly on a monthly basis. 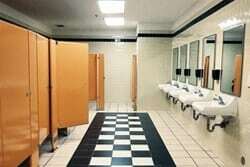 We can provide you with a 1-stop solution in hygiene services for a broad spectrum of businesses and industries at affordable rates. Encourages a germ-free and clean working environment. Gives a positive impression to your clients and staff. Protects your products, staff and customers health. 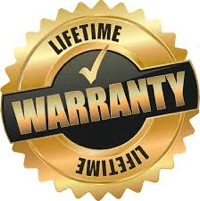 Very Important: There is a lifetime warranty on all working parts of our dispensers. Big Cost Saver: We can sign Rent-To-Own contracts with your business. Use our air freshener dispensers to eliminate odours in your washrooms or any other selected areas, to keep the air fresh and fragrant. Flexible programming (days of the week, time of the day, 30-90 day cycle) allows you to increase or decrease the amounts of sprays per day. Our batteries last up to 3 years and the fragrances are made from concentrated, excellent quality fragrance oils and work to the last spray. It contains exactly 3000 sprays per refill. Biological seat sanitiser spray. Quick drying action. Pleasantly perfumed. The polygiene technology in the push lever ensures that you cannot transfer bacteria from your hands to the dispenser. Highly economical – 2000 sprays per refill. 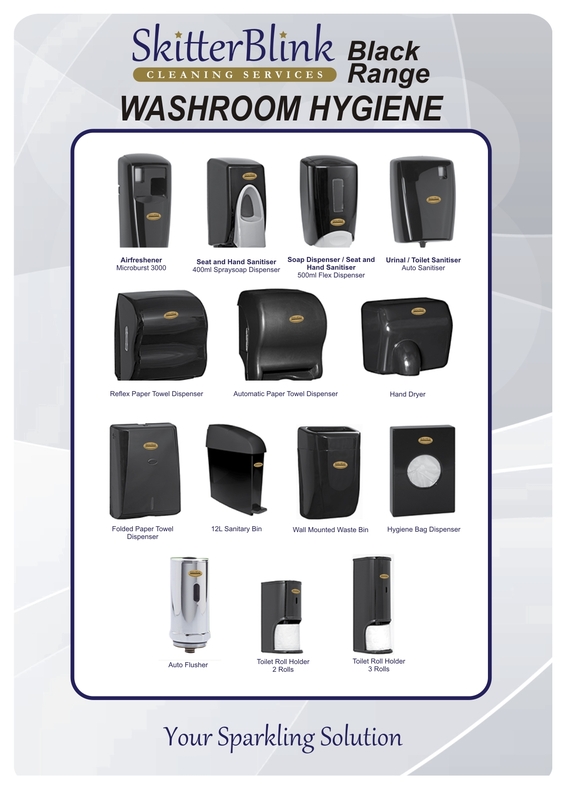 Various types of Towel Dispensers. Manuel or sensor units. Cost effective. Accommodates laminated paper. Manuel units take 600 folded towels. 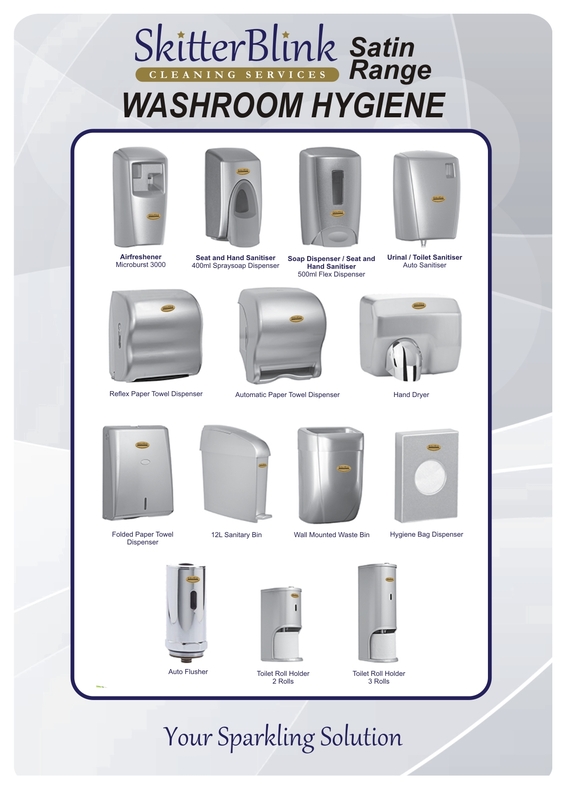 We have several options including paper towel dispensers and air hand dryers; all dependent on your requirements and budget. The hand dryer is 2500 Watt and NRCS SABS approved. 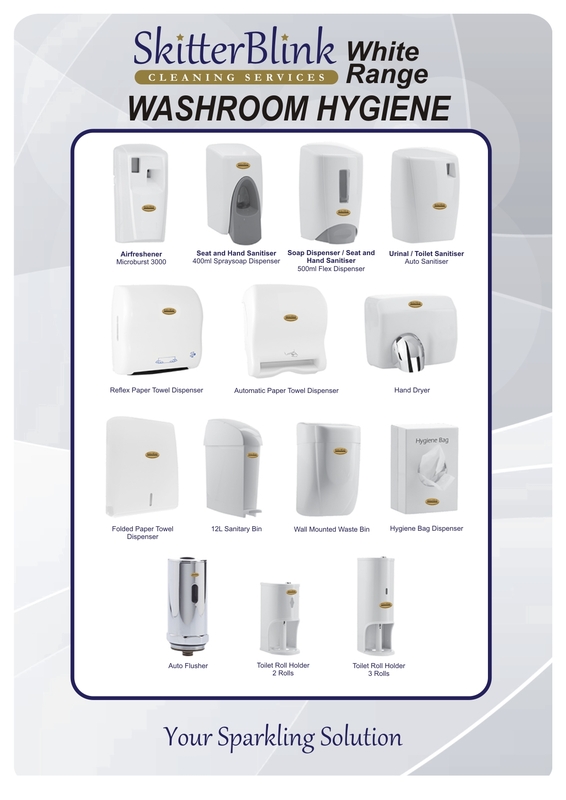 We have toilet roll holders and sanitary bins – manual or touch-free, and many other products to ensure that your toilets and washrooms stay hygienic and clean. We can also assist with a unique cost-effective way to dispose of bio hazardous waste of sanibins. 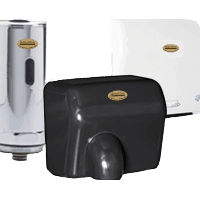 Our sanibins are Slimline and fits in easily next to any toilet. Ladies do not need to touch the bin to open it! 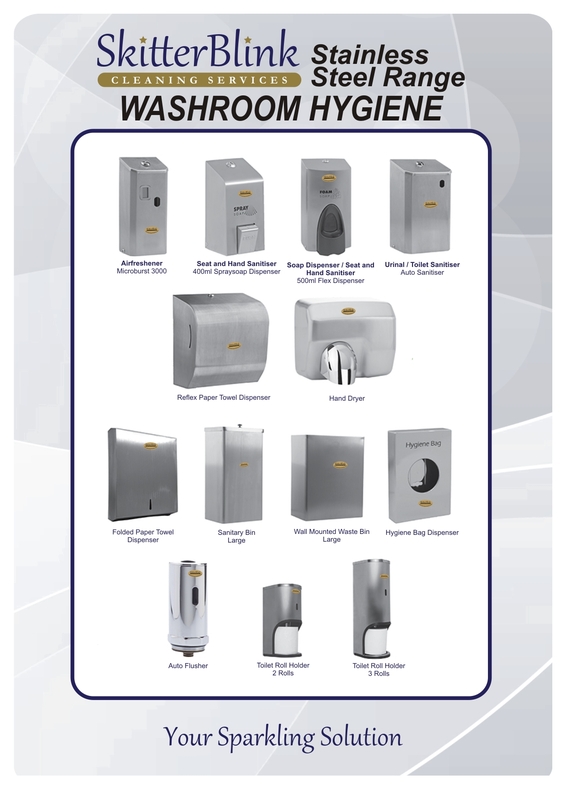 Automatic and manual soap dispensers that we can install, refill and maintain. Cartridge refills or top-up systems. Soap or foam options available. Each refill comes with its own pump– ensuring no leaks, ever!